Robert Parker, after concerns that he would be unable to travel following knee surgery, has indicated that he will be coming to taste the new vintage next month. Significantly, his friend Michel Rolland, the renowned consultant oenologist, believes that most estates that he works with have made, er, better wines in 2010 than in 2009, and for those who prefer wines at the other end of the structure spectrum, Denis Dubourdieu quietly agrees – at least, for reds and dry whites. 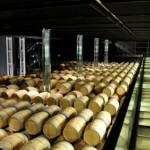 What of the other side of the cellar of l’embarras des richesses, the 2010s? Whereas the 2009s are exuberant, opulent and delicious to taste even now, the 2010s appear to be more classically Bordeaux-like, but with tremendous power and intensity. I’d call them über-classic, for want of a better expression. 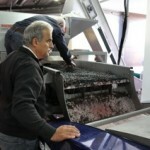 The buzz word for the 2009s at this same stage last year was ‘exceptional’ – see my 2009 harvest report. We’ll probably hear a lot more of ‘classic’, ‘intense’, extraordinary’ and ‘balanced’ in reference to 2010. Jean René Matignon, the Technical Director of Pichon Longueville Baron, agrees, summing up 2010 as ‘un grand millésime de garde par excellence.’ He believes yields are generally around 10% lower than in 2009 around Pauillac (i.e. in St-Julien and St-Estephe also), in part due to poor flowering in older Merlot vines, as well as smaller berries with less juice from the near-drought conditions. Lilian Barton told me that they only made four tanks of Merlot, compared to six, for the same reason. The quality of the Merlot though is ‘magnifique’, according to Matignon, whose final blend will be 77% Cabernet Sauvignon and 23% Merlot – compared to 67% and 33% in 2009. That’s a significant shift, and if that doesn’t suggest a wine for longer aging, then the near record levels of tannin, however ripe, certainly do. Steve Blais, who works with Michel Rolland and has clients around the world, believes that 2010, being a later harvest than 2009, plays to the strengths of Bordeaux. 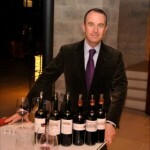 He works with Malescot St-Exupéry in Margaux and many Châteaux in Pomerol and St-Emilion. 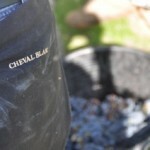 “It works best here when there’s a slow, even maturity of the grapes. In theory, not too hot and longer is good, but the problem with later vintages is that we get autumn rain. The weather we had over the harvest in 2010 was almost perfect, so we could wait. This is the clear message from many of the ‘lesser’ appellations. Yorick Lavaud, who sources the wine for Rothschild’s Mouton Cadet brand and manages 1200 hectares of vines, was adamant that 2010 is a better vintage than 2009, especially for Merlot. 2010 is an excellent vintage for dry whites and for Sauternes, so if you’re planning on coming to the April trade tastings, make sure you fit them in to your schedule. On that note, I’d suggest you don’t try to cram too much in, too quickly. There’s a lot to take in, and the wines will be quite demanding. Let’s hope the proprietors aren’t. Really great series and Thanks; looking forward to the rest. From what you have written, I will now save some my money for the 2010 Vintage rather than loading all of it on the 2009 Vintage. Personally I don't see a price drop, but that is the nature of way too much money floating around the world. This is both extremely interesting and obviously very topical. I thoroughly look forward to the updates and particularly the result of Parker's visit.